Shane Fitzgerald and his dad are passionate dairy farmers running a small family farm in South East Ireland. When their livestock grew from 120 to 200 cows over the last three years, they had to face a problem: the barn became more and more crowded. The farm has a spring calving, grass based system; calving is in February, March and April, and they aim to have cows on grass for 300 days of the year! So last year, they decided to build a new one. They wanted to make sure that every single one could lie down, and that all cows could feed together if they wished. And of course they do; cows like doing things as a group activity as much as possible. They’re herd animals; it’s how they roll. 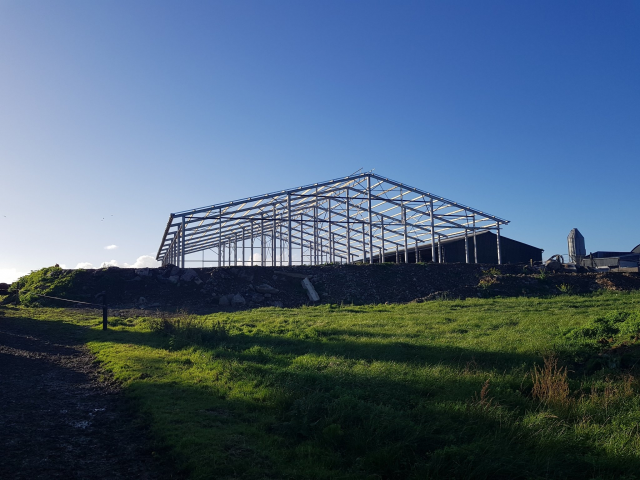 The building process started in May 2018, and after a good 7 months the shed was ready for use. And it is definitely a result worth waiting for. 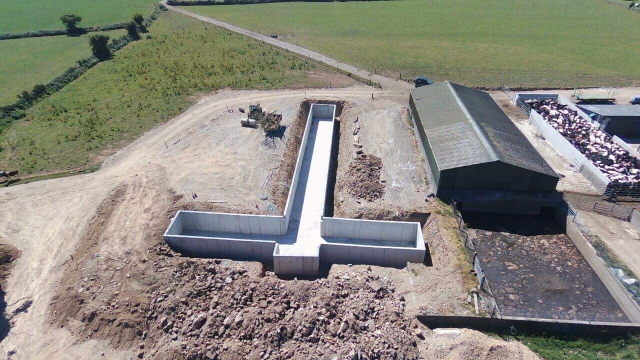 Because it is not allowed to spread slurry between the 15th of October and the 12th of January, they started with building an underground slurry tank large enough to store at least twelve weeks of slurry. The shed was then built on top of the tank. The shed is over 9.17 meter high, allowing great air flow with vented sheeting on the side and an inlet of 600 millimeters. To let in the light, they installed 48 skylights on the roof, and the shed has LED lights on the gable ends for the night time. When the cows fancy a drink, they can use the 6 foot water troughs at the crossovers, which can be tipped over to ensure clean water supply. "Build beds where cows have no trouble lying down and standing up." More than anything, they wanted to build beds where cows would have no trouble lying down and standing up. The cubicles at the wall are a king-sized 2.6 meters long! You won’t hear any cows complain about the 2.4m head to head cubicles, either. And all beds have soft and comfortable mats. To make sure that the cows have loads of space to eat, lie down, or just to walk around, the passageways are 3 and 4.4 meters wide. Even though the shed houses 110 cows, it has feeding space for 128, so younger cows don’t get bullied for feed. Their cows already reach 4.5 lactations, but Shane and his dad are aiming for 5.5. They are confident the new shed will help them reach that goal. And as for milk production: right now the average milk yield is approximately 6200litres. Let’s see if the new barn is going to have an impact on that too! We wish them the best of luck and we will keep you posted about the results! Want to learn more about building for the cow?